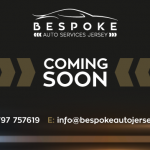 Bespoke Auto Services Jersey are delighted to provide short and long term storage solutions for Cars, Motorcycles and Boats at our showrooms in St.Ouen. Your pride and joy will be stored indoors with dust covers available. We have plenty of space in a lock up storage facility with easy access and in a dust free environment. Battery chargers to keep your vehicle well charged are also provided as part of your storage fee. Customers have used our facilities to store their vehicles safely for a wide range of reasons and for varying lengths of time. Having the drive way re – surfaced? Building work at home? Going away on holiday? Please give us a call on 07797757619 or email [email protected] for further information, a quotation, or to arrange a viewing of our facilities. 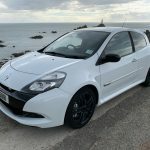 Please see our valeting page which can incorporate storage and vehicle detailing solutions into one package.